Do you like the vintage look? Hand engraved, small beaded edges (millgraining)? Perhaps rose gold? 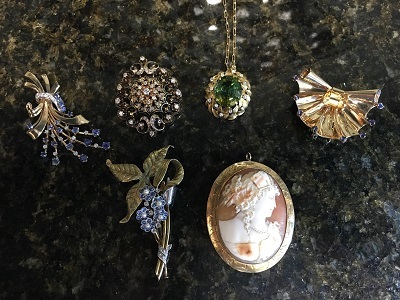 We often have a selection of cameos with gold bezels, Art Deco inspired details, Edwardian, Victorian pieces in gold and/or platinum. Stop by to see our current collection.